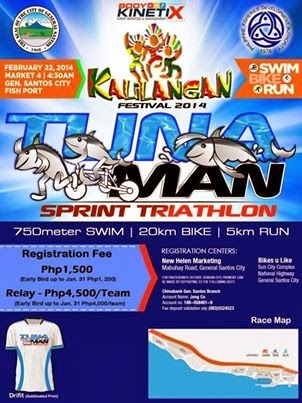 In celebration of Foundation Anniversary known as Kalilangan Festival, the City of General Santos has officially launched the celebration last weekend with various events to include the recently attended Tunaman Sprint Triathlon and The North Face Trail Run in Brgy Conel. This week is more celebrated as street dances, battle of the bands with their fancy and cool musical equipment, theater carnival and more shall be expected. Schools and offices shall be closed on February 27, 2014 to make the entire locals of General Santos City come in celebration of the event. To read more of Kalilangan 2014 details, you can read here. Happy Kalilangan everyone!